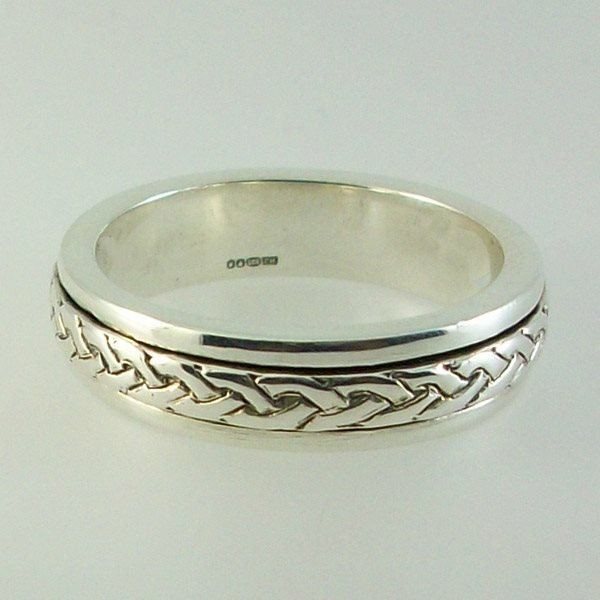 Simple silver celtic silver knot work ring set that the outer ring spins this reminds us of our connections and family through out the world. Design by John M Hart Hebridean Jewellery. Hi, I would just like to thank you for re-sizing Ian's ring. You were really great when I bought the ring in April and your customer after sale service has been excellent. I will have no hesitation in buying from you again. Next time the ring is going to be for me though!!! !